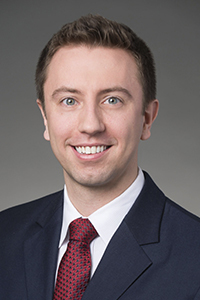 Attorney Jacob Slowik represents health care businesses, including clinical laboratories, hospitals, physician groups and ancillary services providers, in connection with commercial transactions, corporate reorganizations, financing, employment issues and complex litigation. He also advises on anti-fraud and abuse laws, HIPAA, False Claims Act, Medicare and Medicaid regulations. Attorney Slowik also has experience in complex real estate transactions, having represented real estate developers and lenders in connection with the acquisition, development, financing and disposition of hotels, apartments, office buildings, retail centers, mixed-use real estate projects, real estate joint ventures, management and development agreements. Prior to Joseph, Aleem & Slowik, LLC, Mr. Slowik was an attorney with the real estate practice group of Fried, Frank, Harris, Shriver & Jacobson LLP in New York, New York. Mr. Slowik is a graduate of Harvard Law School and received his B.S. in Industrial and Labor Relations from Cornell University.